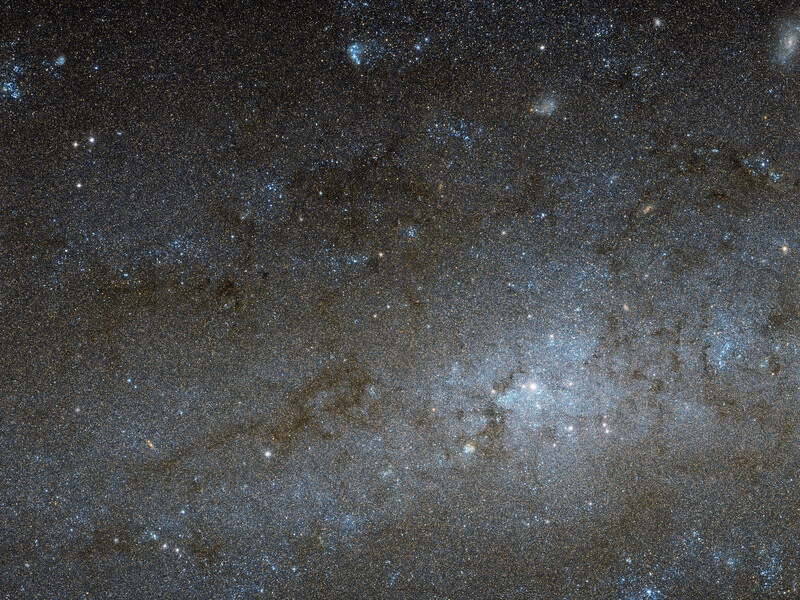 This Hubble image shows the central region of a spiral galaxy known as NGC 247. 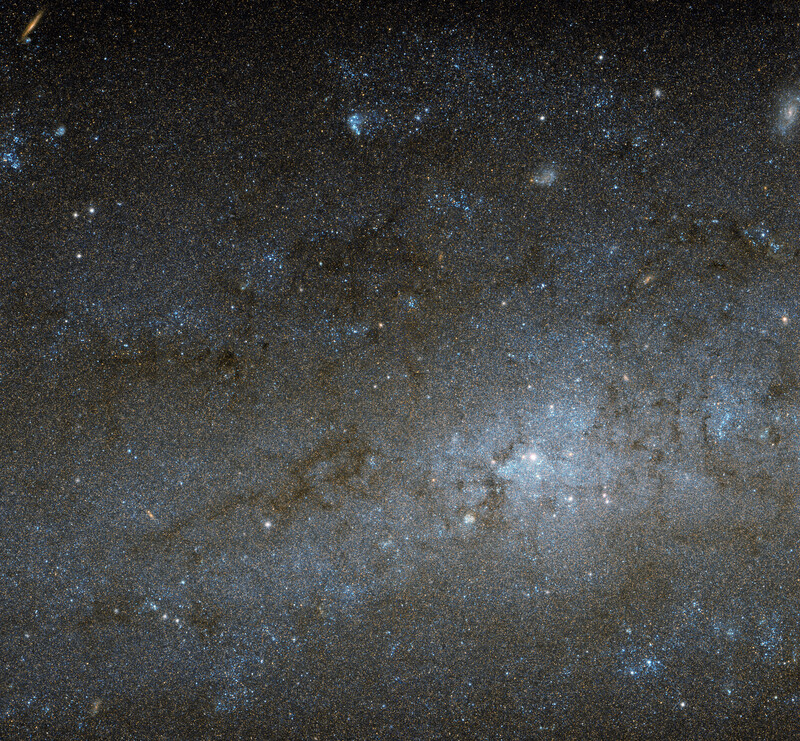 NGC 247 is a relatively small spiral galaxy in the southern constellation of Cetus (The Whale). Lying at a distance of around 11 million light-years from us, it forms part of the Sculptor Group, a loose collection of galaxies that also contains the more famous NGC 253 (otherwise known as the Sculptor Galaxy). 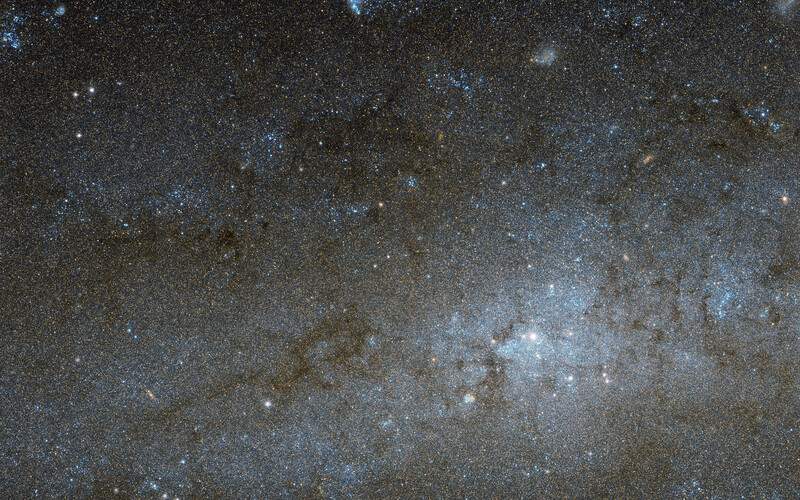 NGC 247’s nucleus is visible here as a bright, whitish patch, surrounded by a mixture of stars, gas and dust. The dust forms dark patches and filaments that are silhouetted against the background of stars, while the gas has formed into bright knots known as H II regions, mostly scattered throughout the galaxy’s arms and outer areas. This galaxy displays one particularly unusual and mysterious feature — it is not visible in this image, but can be seen clearly in wider views of the galaxy, such as this picture from ESO’s MPG/ESO 2.2-metre telescope. 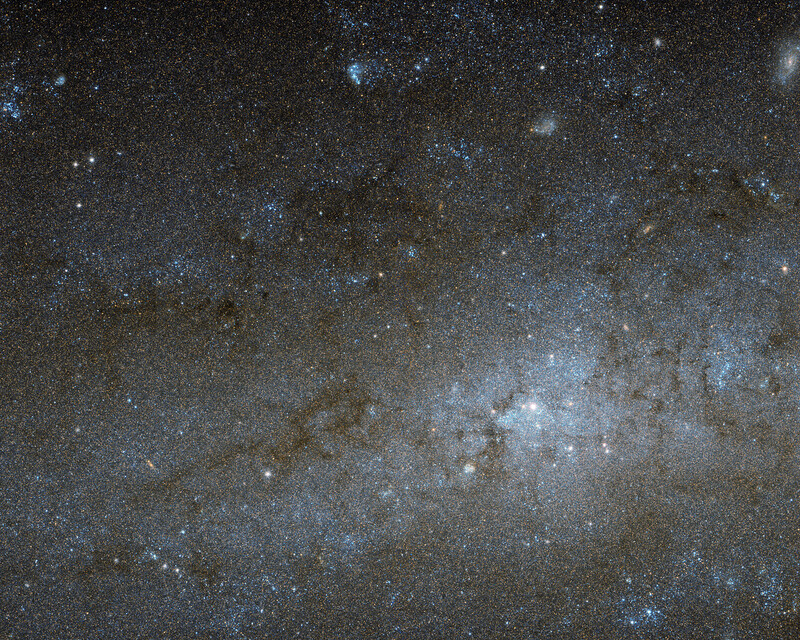 The northern part of NGC 247’s disc hosts an apparent void, a gap in the usual swarm of stars and H II regions that spans almost a third of the galaxy’s total length. There are stars within this void, but they are quite different from those around it. They are significantly older, and as a result much fainter and redder. This indicates that the star formation taking place across most of the galaxy’s disc has somehow been arrested in the void region, and has not taken place for around one billion years. Although astronomers are still unsure how the void formed, recent studies suggest it might have been caused by gravitational interactions with part of another galaxy. Position (Dec): -20° 46' 6.67"